The reality television star made her second visit to the West Wing on Wednesday. Kim Kardashian West is keeping up with the White House. The reality television star came to 1600 Pennsylvania Avenue on Wednesday for the second time for a meeting with administration officials on prison reform. 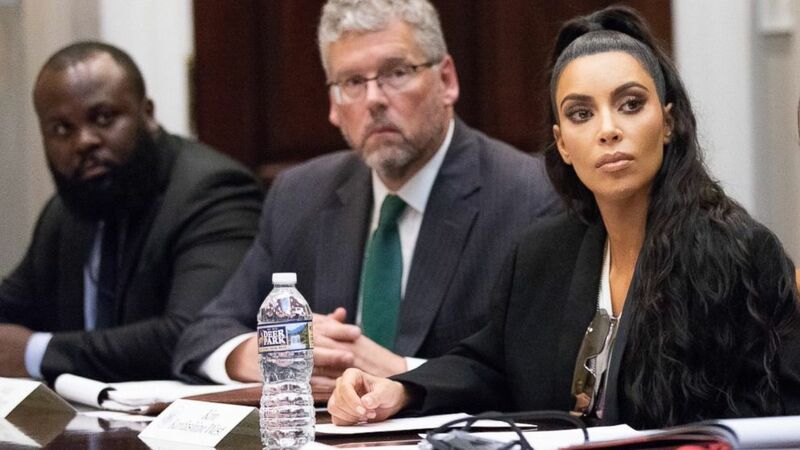 In May, Kardashian West met with President Trump in the Oval Office to talk about prison reform and clemency for Alice Marie Johnson. Johnson, a 63-year old grandmother, was serving a life sentence on drug charges. Shortly after Kardashian West’s meeting with the president about Johnson, the president commuted the grandmother’s sentence. Since that meeting, Kardashian West has kept in touch with Jared Kushner who has led White House efforts on prison reform. (KimKardashian/Twitter) Kim Kardashinan shared photos on Twitter of her second visit to the White House on Wednesday, Sept. 5, 2018, where she attended a listening session headed by Jared Kushner about prison reform. Now back at the White House for a second visit, Kardashian West is spearheading efforts to seek clemency for another nonviolent drug offender, Chris Young. Young is serving a life sentence on nonviolent drug charges, but recently, the judge in his case, Kevin Sharp, wrote a letter to Trump arguing that Young only played a minor role in the drug conspiracy and that the mandatory sentencing laws that determined his sentence was out of proportion with the crime. The White House has not confirmed if Kardashian West will be meeting with another former reality TV star – the president. But she will be meeting with Kushner, Johnson and Young's attorney Brittany Barnett, CNN political commentator and criminal justice reform advocate Van Jones, the Federalist Society’s Leonard Leo, and Shon Hopwood, a former prisoner turned Georgetown Law professor. “I write to offer my full support to the clemency petition filed on behalf of Chris Young, an extraordinary young man for whom executive clemency would offer not only a second chance at life but in many ways a first,” Sharp wrote. (Mandel Ngan/AFP/Getty Images) Kim Kardashian is seen entering the grounds of the White House, May 30, 2018. Judge Sharp, according to the White House, would also be at Wednesday’s meeting. While President Trump has previously demonstrated a willingness to use his power to pardon and commute sentences, the White House is also engaged in an effort to pass prison reform legislation on Capitol Hill. The issue has been put on hold until after the midterm elections, as there is disagreement among Capitol Hill Republicans and within the administration about how far the legislation should go to reform sentencing guidelines.